It means the Tour has been boosted before the 2018 Winter Olympic and Paralympic Games, due to be held in Pyeongchang in South Korea in February and March. The two organisations have worked together since 2013 to deliver the initiative - which sees Olympic medallists travel to developing member associations and curling clubs to help generate interest in the sport. "The Olympic Celebration Tour has inspired member associations from Estonia, Japan, Mexico and United States, amongst others, to introduce our sport to new people across the globe," said WCF President Kate Caithness. "The simple concept of taking curling Olympic medallists to developing associations and clubs has proved successful for the past five years and I am certain it will continue to be, particularly in this very special year for our sport. "Curling will be showcased every day of the Games, with four medals up for grabs - mixed doubles, men's, women's and wheelchair - and this support will help us capitalise on the interest that exposure will generate. "Thank you to the Foundation for Global Sports Development for their continued support." Mixed doubles will make its Olympic debut in Pyeongchang, to increase curling's presence at the Games. 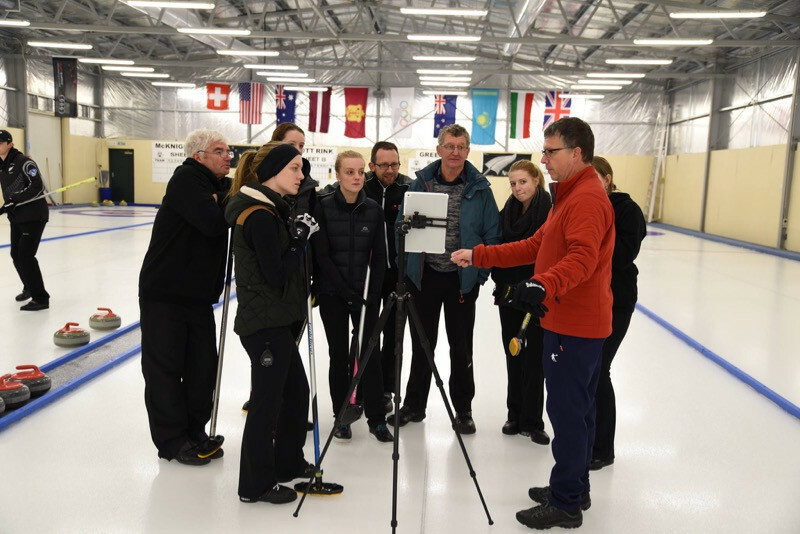 Dr Steven Ungerleider, an Executive Board member of GSD, said: "We are delighted to support the Olympic Celebration Tour, as we have seen the joy on young athletes' faces as they experience curling for the first time. "Because of this programme, people all over the world are stepping out of their comfort zones and onto the ice for the first time." Sochi 2014 Olympic gold medallist Kaitlyn Lawes of Canada recently travelled to Estonia and Mexico as part of the Tour. She will travel to New York's Ardsley Curling Club between October 13 and 15 for the Tour’s next stop. Activities on the Tour range from appearances on national television to teaching school children the basics of curling and mentoring elite players.